Erin Georgen is the Chair of the Initiative Writing Committee at Whole Washington. 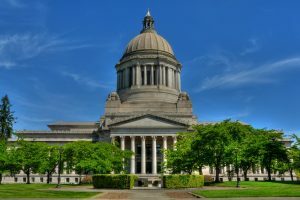 She sat down with The Wire to discuss I-1600, Whole Washington’s single-payer healthcare initiative. The initiative looks to create a single nonprofit entity called the whole Washington health trust to provide essential health benefits for all Washington residents. Erin Georgen: “Whole Washington is an organization whose primary mission is to get healthcare for all people. And we’re starting with the local avenues, which are people-based initiatives for Washington State. But we’re also trying to educate people about the long-haul mission and universal health care generally. EB: What are some highlights of the initiative and how is it different from some of the single-payer bills introduced in the legislature? EB: Speaking of payment mechanisms, how does this initiative propose to fund the whole Washington health trust? 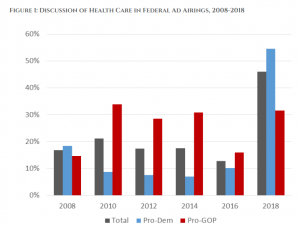 EG: “One of the most challenging things to address is how to pay for it, even though we are all paying a lot… [According to our study] we spend about $80 billion on health care as a whole and about half of that is federal funding or state funding. The other half of that is paid by individuals and employers in out-of-pocket costs, deductibles, co-pays, co-insurance, and premiums. And it’s a whole lot more than it needs to be – it’s about $16 billion more than it needs to be… the large majority of that waste is actually just the paperwork required, the actual administrative tasks required to uphold the ginormous apparatus which is our health care system. “We fund the trust using public funding. We’ve got to transition individuals and employers from paying these very high and unpredictable costs that they’re paying now into a much more equitable, consistent, and predictable cost of taxes. EB: What king of taxes and funding specifically? EB: How do you think opponents might react to all of these taxes? EB: Any final thoughts you’d like to leave our readers with? This story was cross-posted at State of Reform.